Wren Dance Studio Pants with Flow and Go Tank in Black. What a great outfit! 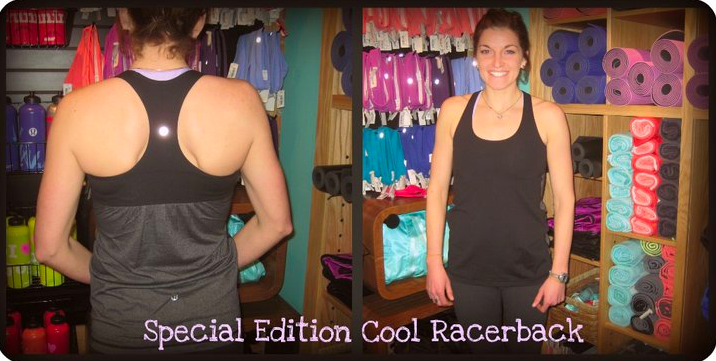 First image of Black Special Edition Scrunch Cool Racerback Tank. Seeing this one in black earlier on would have clarified the Sheer Luon questions we all had about this tank. "Calm and Cozy Sweater + Heathered Poison Ivy = Love"